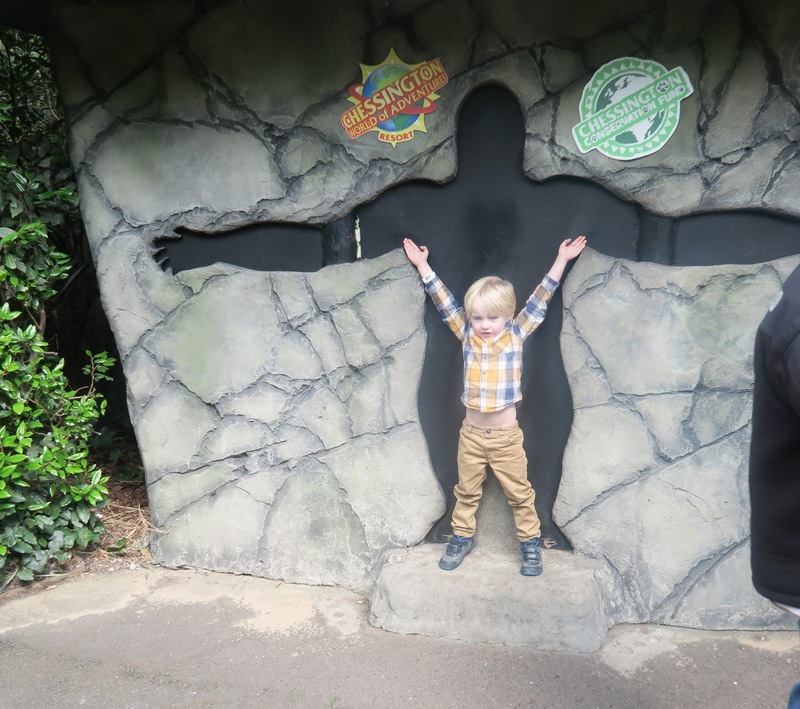 If you follow me on social media, then you may have noticed that this weekend we headed off on a little adventure to Chessington - World Of Adventures! 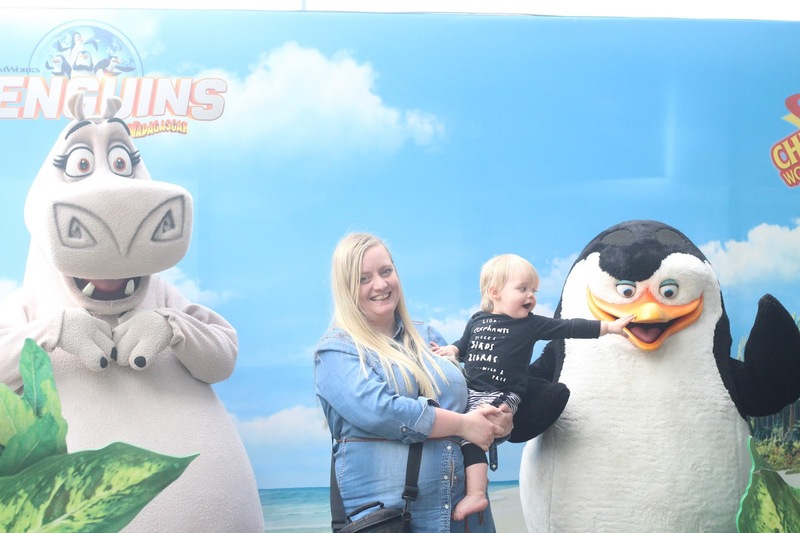 Theme park visits are fast becoming our favourite things to do as a family, with us having visited LEGOLAND Windsor and Disneyland Paris already this year and with further theme park trips planned in the near future - we just can't get enough of them! 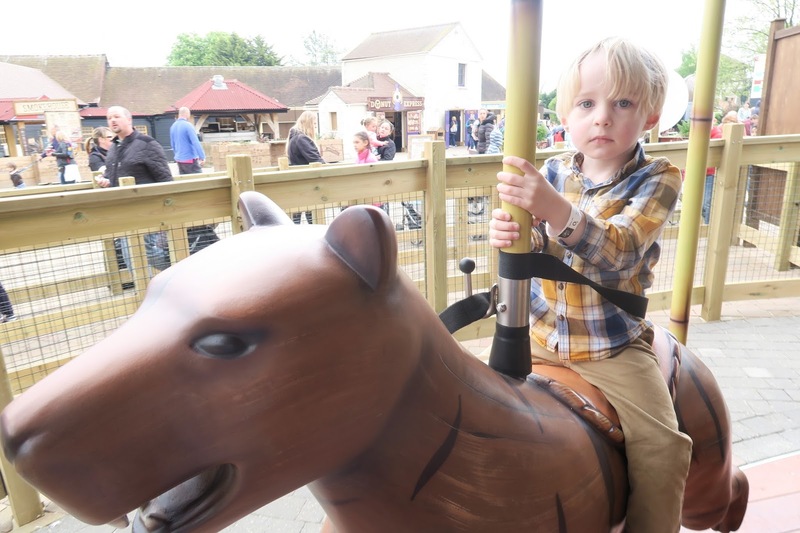 With a mix of rides, shows, play areas and other attractions they offer the perfect solution to families with children of different ages and what we love is that unlike a trip to the dreaded soft play - there is lots to keep Mum & Dad entertained too! Jon & I really enjoy these family theme park days, and get just as much out of them as the kids. We were given the chance to try out o2's priority ticket experience at any of the four Merlin parks on offer, and we decided to go for Chessington World Of Adventures for two reasons - firstly because it was the only we haven't been to before (other than Thorpe Park, which seems to be geared towards older children) and secondly because they have recently added a lot of Gruffalo themed attractions - Tyne & Noah are both huge Gruffalo fans so we knew they would love this! Chessington is about a 4 hour drive away from us, which we hadn't realised until a few days before our trip, so to make sure we arrived early enough on the day of our visit we decided we would need to stay close by the night before. Having left it so late we struggled a bit to find accommodation, but in the end we found a family room available at Travelodge Leatherhead which was only 3 miles from Chessington - we love Travelodge as you always know what to expect, they are clean and comfortable which is basically all we need for a place to sleep! The room cost was £50, which I think was an absolute bargain and the journey on to Chessington in the morning was so straight forward - it took less than 15 minutes and the hotel was conveniently located right opposite a Greggs bakery which meant breakfast was sorted too with fresh almond croissants and coffee for our journey to the park! We arrived to find rather a long queue of cars at Chessington, and it did end up taking us about 25 minutes to get parked which was an unexpected delay - so sadly we missed most of our early entry time. I must say, the parking at Chessington really did leave a lot to be desired - it was very badly organised, chaotic and - to be honest - a little dangerous considering how many young children were around, this really does need to be improved dramatically. 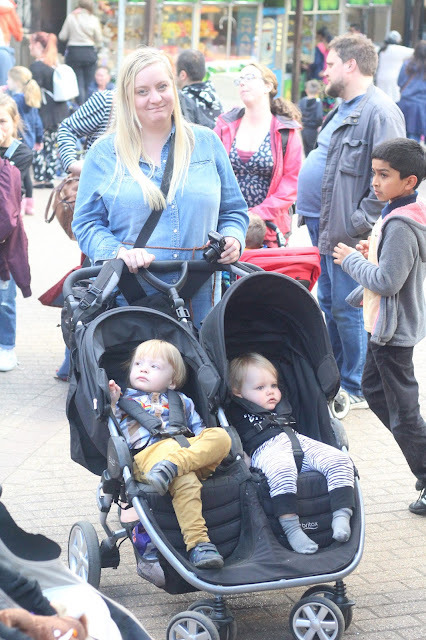 Once inside the park, we easily found the O2 angels who were standing right at the gates - we gave our names and they presented us with our o2 Wristbrands which gave us entry to the park and fast tracks onto all of the rides. I was SO pleased to have those fast track tickets as the queues were absolutely crazy - FAR longer than anything I have experienced at any other theme park, including Disneyland Paris! If we didn't have the fast passes, I doubt we would have been able to get on a single ride as there is just no way that my 3 small children could handle a 70 minute wait in line. So they really did save the day for us! They only worked until noon and so we decided to do as many rides as we could before then, to make full use of them - our first stop was Tomb Blaster as Tyne was desperate to ride it. 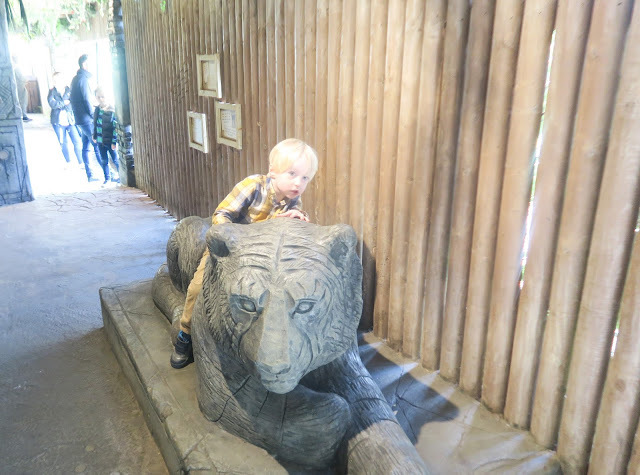 Unfortunately when we found it, it was closed due to technical difficulties - cue one very upset child! 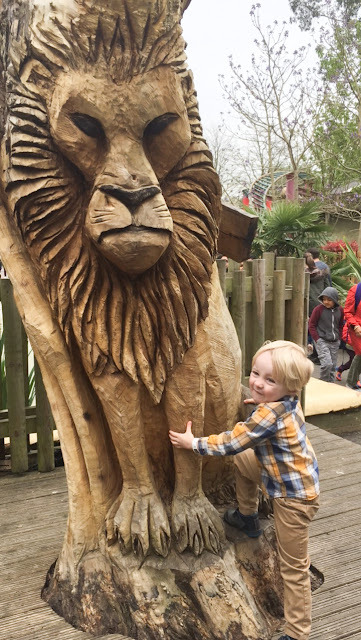 We talked him around and decided to have a go on the Adventure Tree as we were now standing right by it and it was one we could all ride - the kids really enjoyed it. After this we headed to The Gruffalo River Ride - we were astounded to find the wait for this was 90 minutes long. NINETY MINUTES!!! I have never ever seen a queue so long in all my life. Thank god for our past passes! Unfortunately we were only able to use them for The Gruffalo ride once but I can see why this rule is in place, as they don't need anything making the crazily long queues worse. We walked onto the ride after waiting only about 5 minutes in the Fast pass lane, had our photos taken and got onto the ride - I have to say, it was one of the best rides any of us has ever ridden! 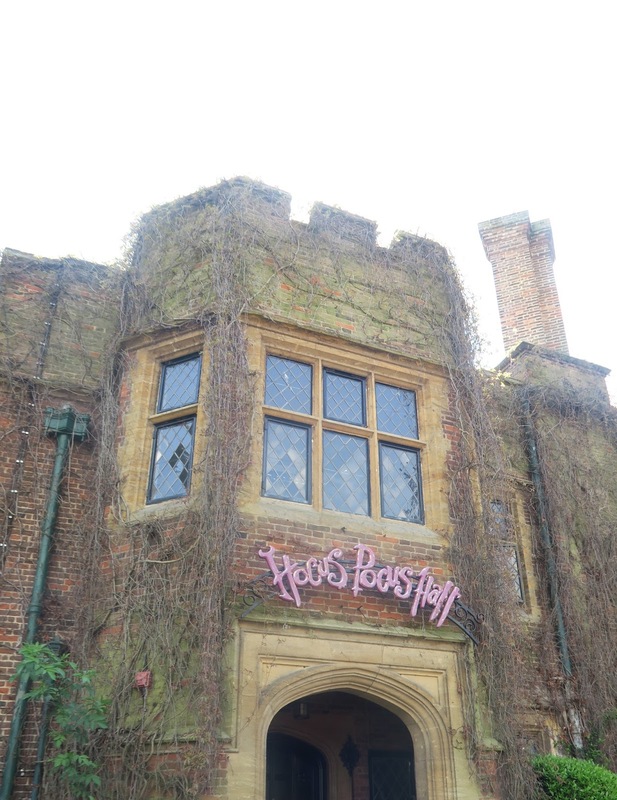 The theming was fantastic, there were even different smells in each area that really made you feel as though you were in the Deep Dark Woods, the story was brought to life amazingly well. There were a few surprises along the way too, with a few little splash downs and some water features - you will probably get wet! My poor feet were soaked!! But it was a lot of fun, and every single one of us loved it! 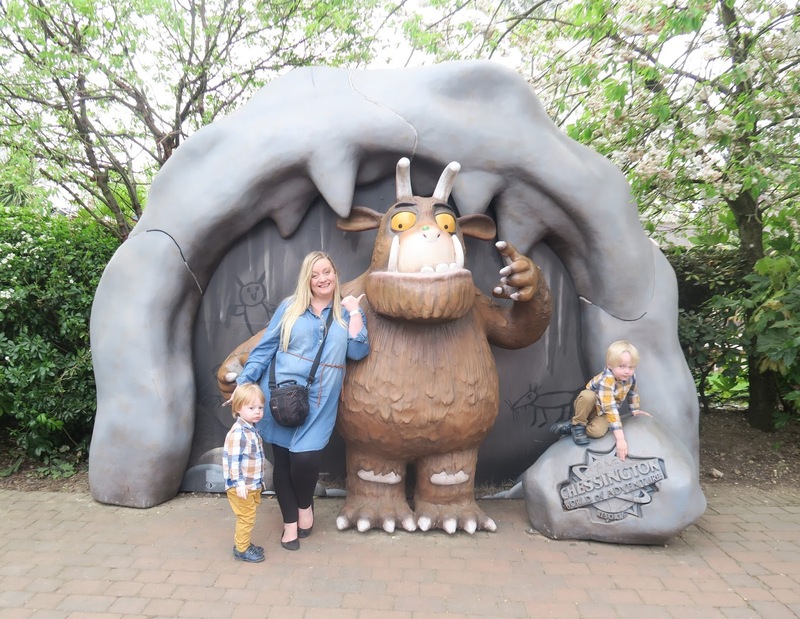 Do not visit Chessington without riding The Gruffalo River Ride - but whatever you do, use a fast pass! 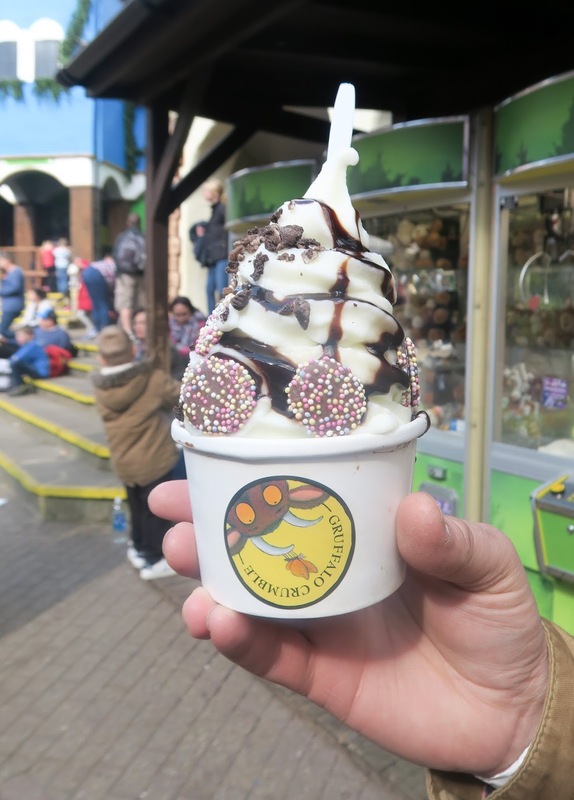 (If visiting after the o2 Priority offer ends, you can buy a single ride Fast Pass at Chessington for £6 per person). After the ride, we were aware that time on our fast passes was running out and with queues as long as they were - we wanted to get a little more use out of them, so we decided to run back around to Tomb Blaster to see if it was open - it was! We headed on, and it was worth the wait - Tyne absolutely loved it and we were pleased to be able to ride together as a five. It really was quite an impressive ride, and lots of fun! Tyne loved it so much that as soon as we got off, he wanted to ride again - by now we only had 15 minutes left on our fast passes and I didn't think we'd make it to another ride in time, so we decided we might as well use them for one more go - we ran around to the fast pass entrance and were stopped by the staff member who asked us (and everybody else in the main queue) to wait for a moment until the queue died down. We waited for 10 minutes before she came back to inform us that actually, the ride was broken again and we couldn't go on. Again - cue a very upset four year old, and we couldn't even distract him with another ride as we'd wasted our last 15 minute of fast pass time standing in the queue for nothing! Annoying. Instead we headed off for some lunch, theme parks can be really difficult when you're visiting with a tiny one as it's rare that they cater for babies at all - we decided to head to Captains Fish & Chips which was basically a traditional chippy selling fish & chips, pies, battered sausages and so on - we got a few portions of fish & chips between us all, and ate them inside - it was clean and the food was nice enough for theme park fayre, the prices weren't too bad either - certainly cheaper than Legoland! 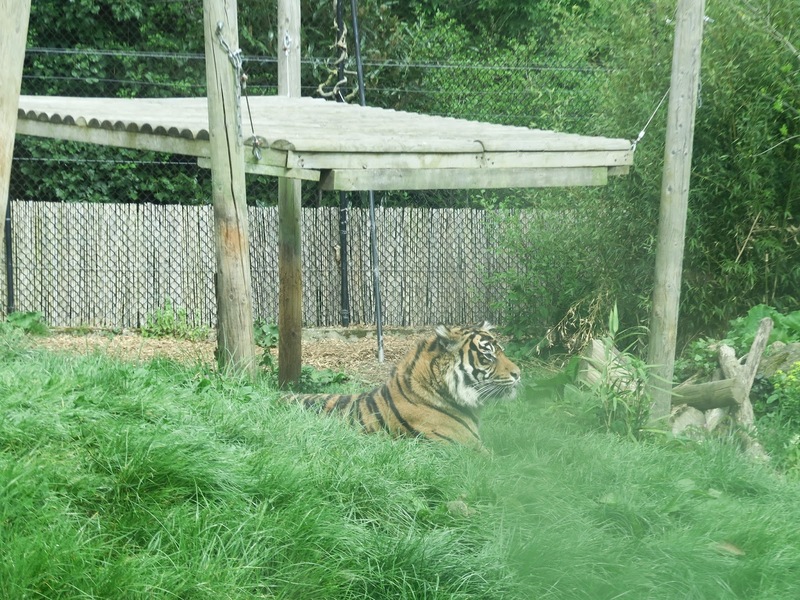 After lunch with our tummies nice and full, we headed around to the Zoo area to have a look at some of the animals - the kids were delighted to see the Gorillas who were on top form performing forward rolls and making us all laugh, they also loved getting a close up look at the beautiful Tigers. Unfortunately we weren't able to see the lions as there was a girl in their enclosure cleaning the windows when we visited, and we didn't get a chance to pop back. We did manage to catch the Sea Lions though, and again the boys were really entertained by them - we contemplated coming back for the Sea Lion Show but ended up getting distracted with other things. 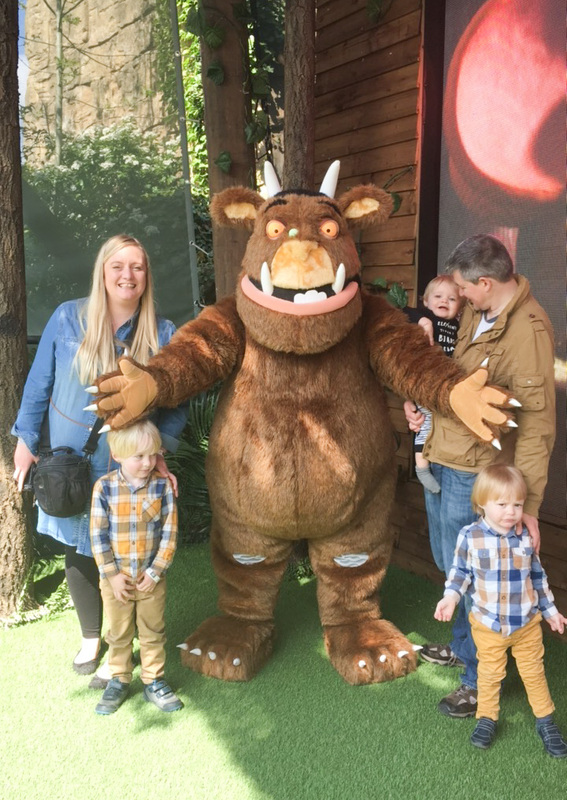 After seeing the animals, we headed off to the Gruffalo arena for the Gruffalo Meet & Greet - the queue looked quite long but I expected worse, and it only took around 15 minutes for us to work our way to the front and meet the main man himself! 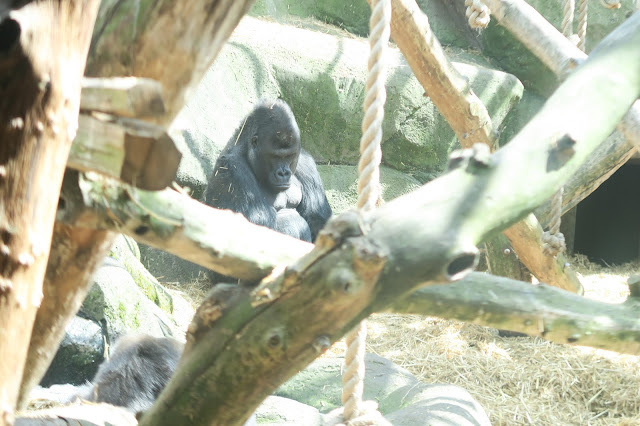 The kids were thrilled, and the staff were super helpful with taking photos for us. 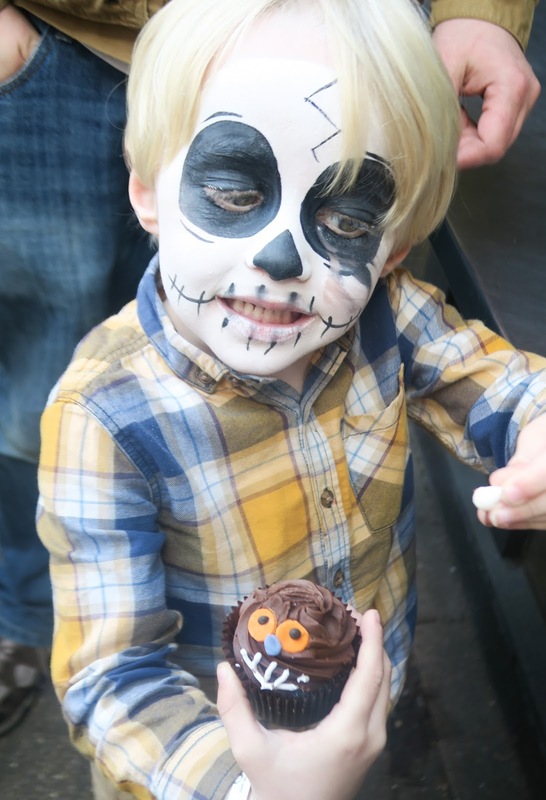 After meeting The Gruffalo, Tyne decided he wanted to have his face painted so we had that done (it cost £7 for the face he chose) and then got ourselves some treats from Gruffalo Bites - they sold all sorts of delights from Gruffalo Cupcakes to frozen yoghurt treats such as Scrambled Snake, Roasted Fox, Owl Ice Cream and - of course - Gruffalo Crumble! 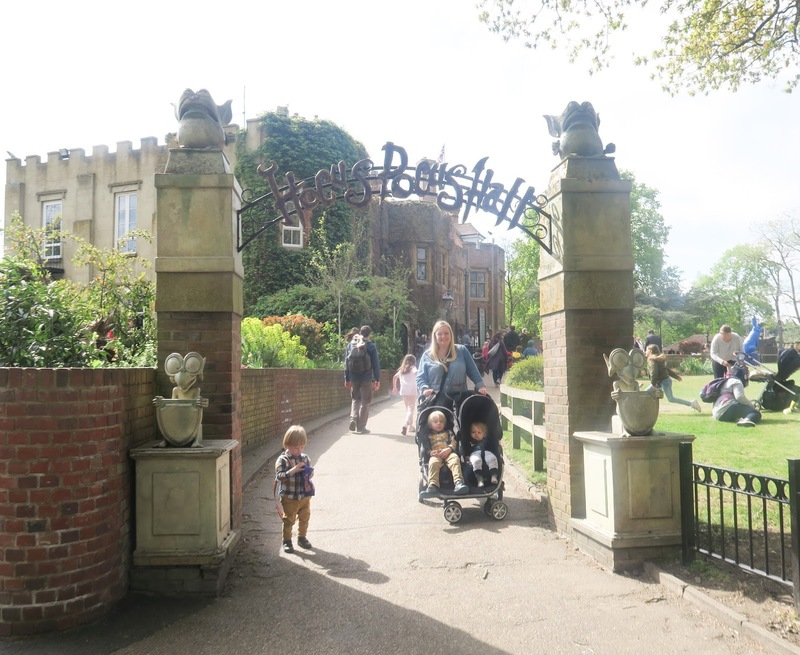 We headed off for a walk around the park, and came across Hocus Pocus Hall - as my little ones are all big fans of anything spooky we decided to give it a try despite the warning that it may be a little frightening for those under the age of 4. We made the right choice as all of the kids absolutely loved it! It's quite dark in parts but with the help of the 3D glasses we were given, everything inside springs to life - there are a few jumpy moments but everything has more of a humorous feel than a frightening one. It was very well done - the "spinning tunnel" we had to walk through was really effective (and made me very dizzy!) and the mirror maze was really good fun. We ended up going back through another 3 times, it was the biggest hit of the day! 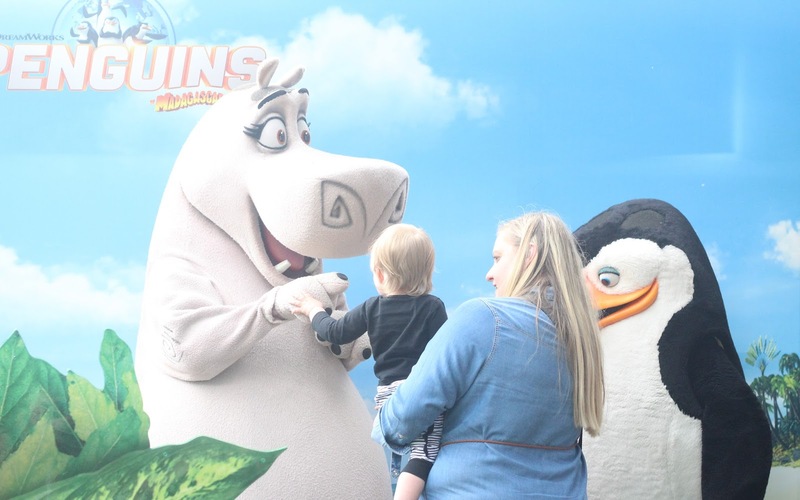 By this time it was 4.30 pm, and time for the Madagascar Meet & Greet - the queue for this was very short which was a nice change, and this was the highlight of Sailor's day - he absolutely loved seeing the characters and kept shouting "AWWW!" and reaching out to them for more cuddles - adorable! All in all we had a really fun day at Chessington and we wouldn't hesitate to visit again - it was such a great day out for the whole family! O2's blue rabbit is their symbol of curiosity encouraging us to try new things and visit new places. 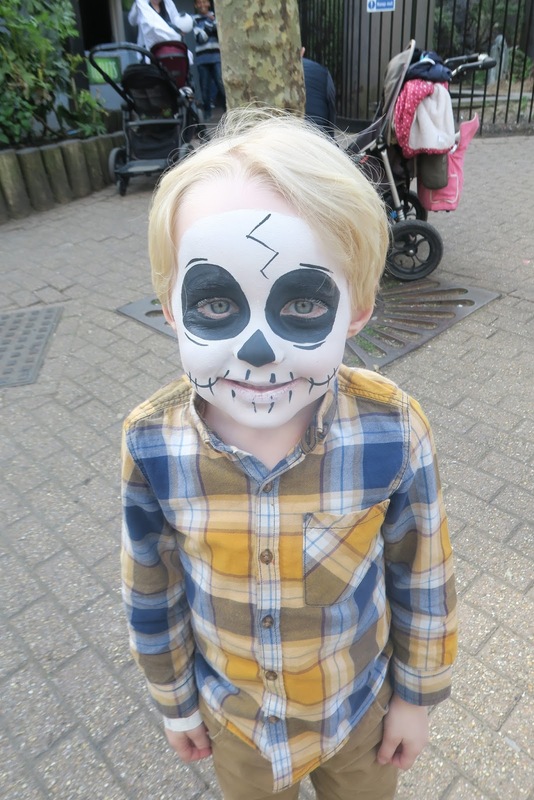 Over the next few weeks O2 customers can buy tickets for Chessington World of Adventures, Thorpe Park, LEGOLAND Windsor, or Alton Towers for just £25 per person on a Saturday or Sunday. The ticket includes early entry (30 minutes before he park's usual opening time) and fast track on certain rides (At Chessington the fast pass worked on ALL rides). 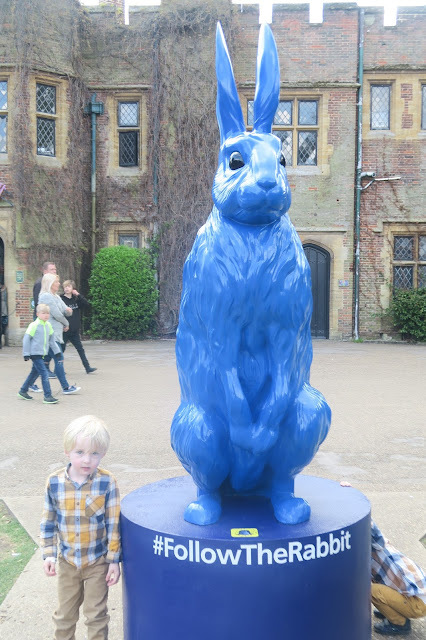 What's more, if you snap a photo with the Blue Rabbit around the parks and share on social media using #FollowTheRabbit you could be in with a chance of winning one of a range of fantastic live experiences. 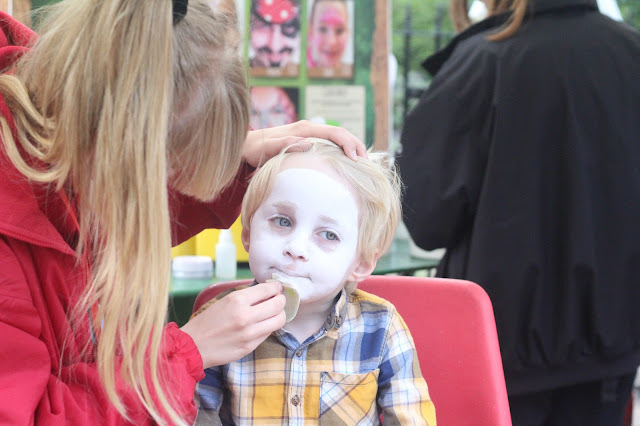 To see our day out in video, please take a look below! Wow they are long queues even compared to DLP! We love everything Gruffalo too and that part looks great! My son's heart might just explode if I dared take him to Legoland!!! We'd never get out of there! My husband and I are going to have to tag team these sorts of vacations!